This blog has been a few months coming for a couple of reasons. 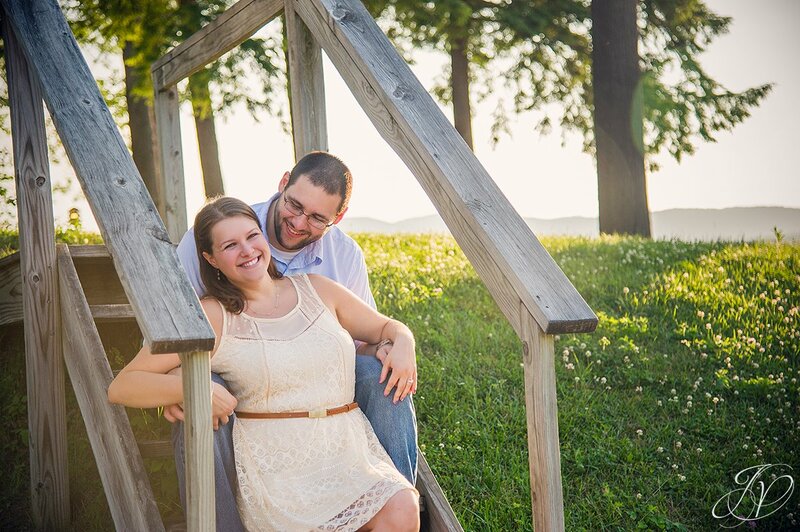 We have been trying to schedule Ashley and Paolo's Engagement Session since May! Ashley really wanted to do a portion of their session on Prospect Mountain in Lake George, but after we scheduled it for mid-May, we found out that the mountain doesn't officially open to the public until after Memorial Day. So we set another date, and surprise, surprise! We were rained out! Then we set another date, and got rained out again. Finally we said, rain or shine, let's just make it happen. And we did! 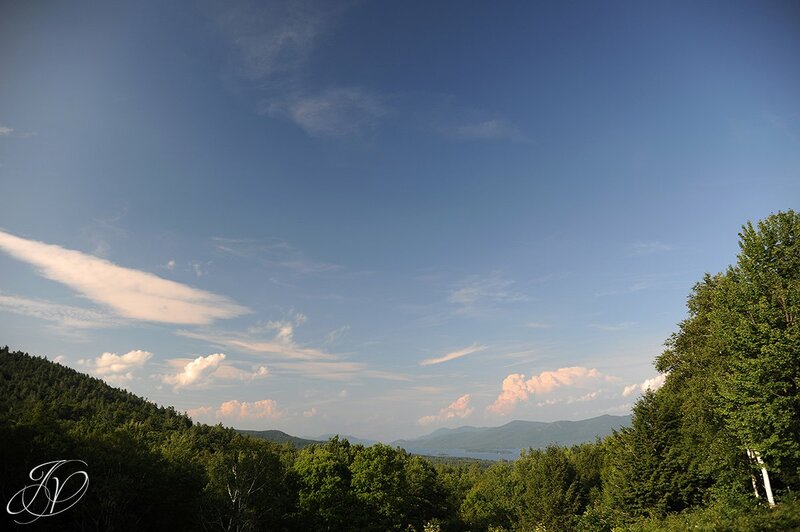 It was a hot, humid and hazy day when we made our way up to Lake George a few weeks ago but regardless, we had a blast, and got lots of great photos! Here's a few of our favorites! I'll start out with this landscape view from Prospect Mountain - how beautiful! Now let's get to our fabulous couple. 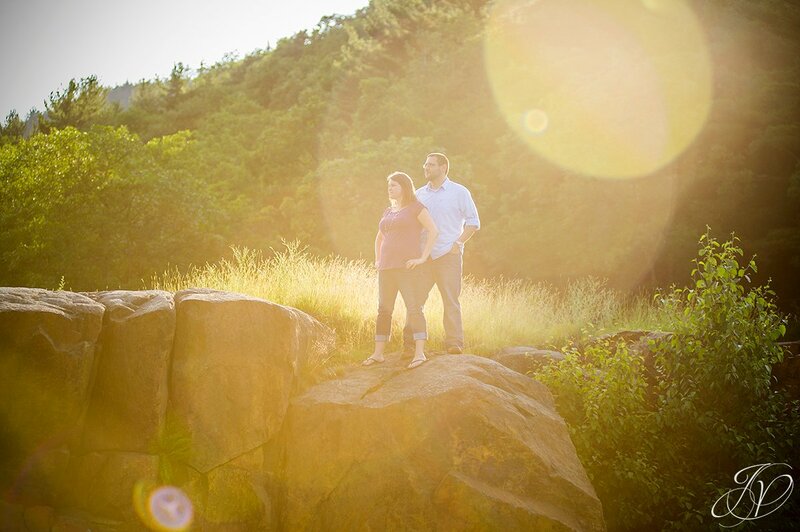 Oh, and hey, did you know these two lovebirds got engaged on Prospect Mountain? 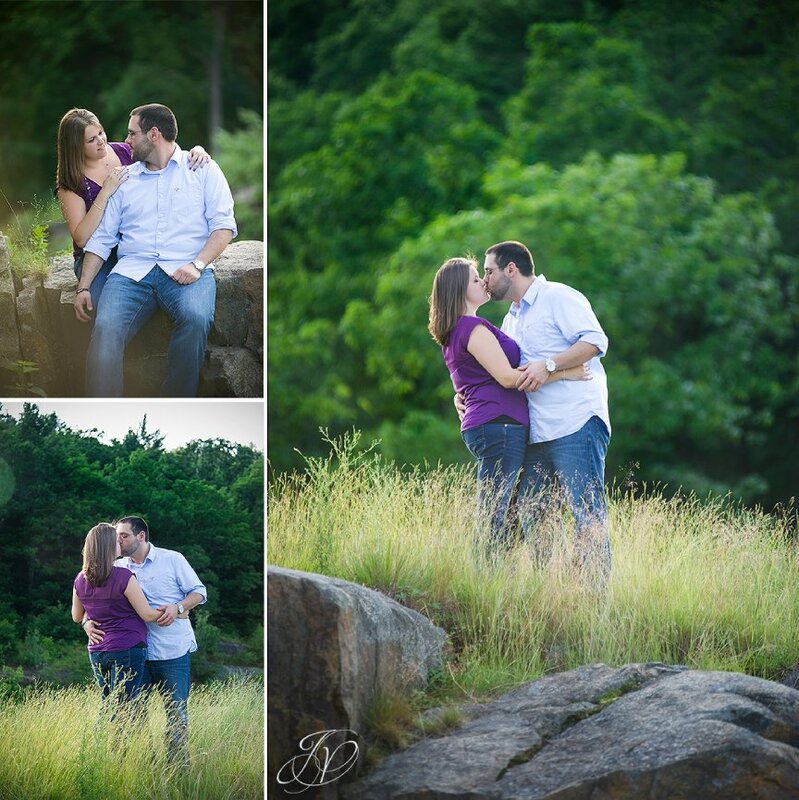 Love this series, especially the two different prospective of their kiss on the tall grass - it pays off to have two photographers. The same moment, two different emotions and feelings! The sun was just starting to go down over the mountain while we were up there - perfect timing for us! We were heading down the mountain to our next stop, and I saw this pond and just knew we had to stop for a few photos. I'm glad we did. Love this. A little chill time in Lake George. What a beautiful view! 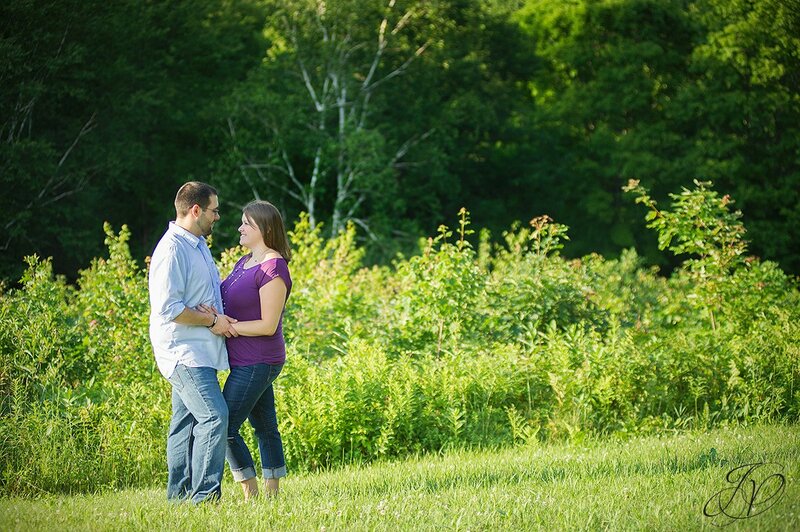 I'll say it again - this is why two pjhotographers are a huge plus! Same moment, two different angles, two different feelings. Love both these shots! 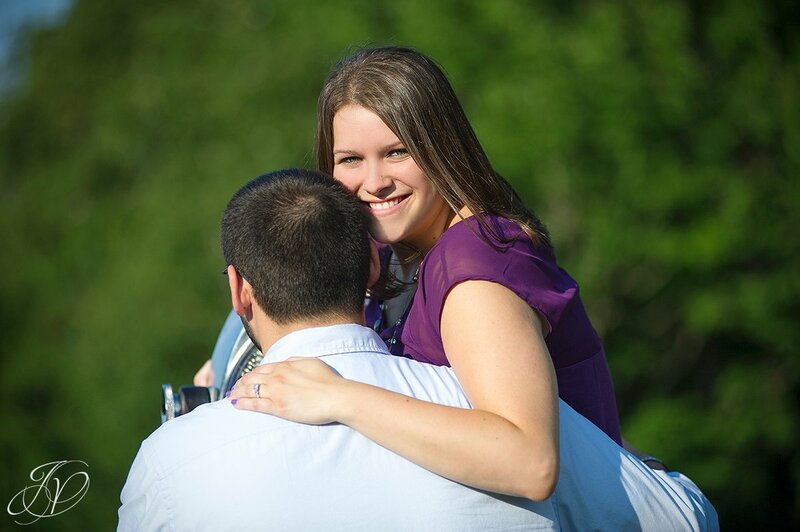 Congrats Ashley and Paolo on your engagement! We had a great time hanging out with you two in Lake George - thanks for enduring that heat for us! 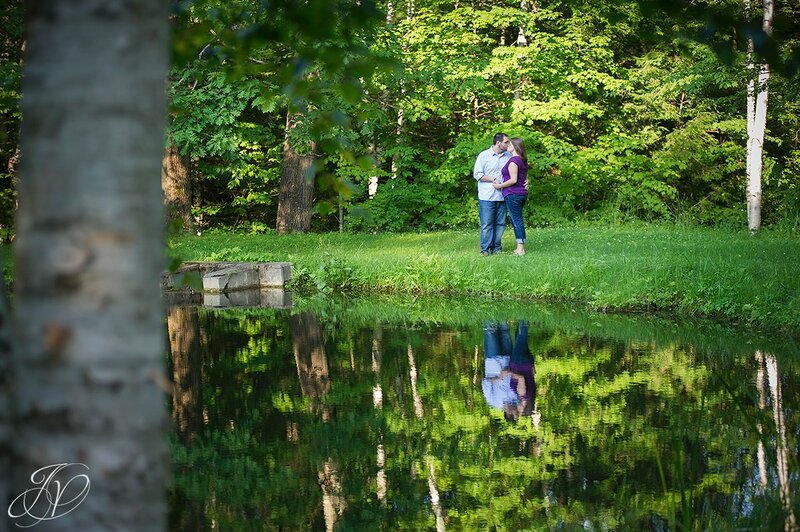 We can't wait to be a part of your day next year! !